How do I verify my SnapPlayer version? 1. Click the Start button in the lower left corner of your screen. 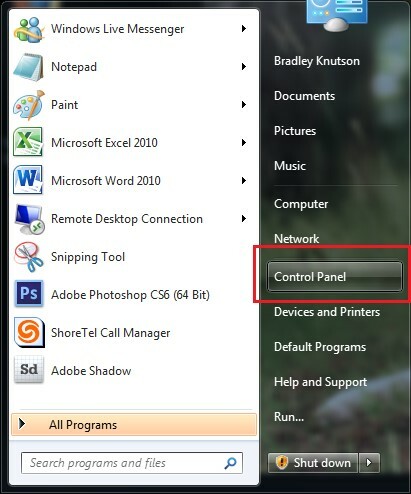 In Windows 7, the Start button is the Windows logo. 3. Click the View By drop down menu at the top right of the Control Panel. Choose Small Icons. Choose the Programs and Features link. 4. Scroll down until you find SnapPlayer. Select it. The version number will display at the bottom of the screen. How do I Enroll in SNAP? This video explains where to find your activation code and how to enroll in your SNAP course. This video explains the various types of tutorials and assignments that you could be taking and how to complete them. This video explains how to change your login password from within SNAP 2010. This video explains how to view your grades for SNAP 2010 assignments. How do I Take a Skill Exam? This video shows the steps on how to start and take a skill exam as well as what to expect from the results page. How do I Complete a Document Assessment? This video provides a walkthrough of downloading and attempting a Document Assessment. How do I Review my Word document assessment? This video explains how to use the Results file with the Answer Key (if the instructor has made it available) and your Word Document Assessment submitted file. How do I Review my Excel document assessment? This video explains how to use the Results file with the Answer Key and your Excel Document Assessment submitted file. How do I Review my PowerPoint document assessment? This video explains how to use the Results file with the Answer Key and your PowerPoint Document Assessment submitted file.